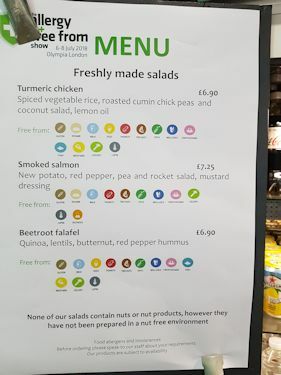 One of the great discoveries Ray & I made at this year’s Allergy & Free From Show http://www.allergyshow.co.uk/ was the launch of Allergy Diner www.allergydiner.com a new web site which gives you allergy friendly restaurants at a click. You select the allergens you suffer from, the geographical area and a list of suggested restaurants will come up. 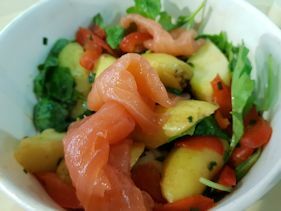 The concept is the brainwave of Dave and CJ Elliott, a husband and wife team whose 10-year-old son Calum suffers from several allergies including wheat, dairy, egg, banana, fish and almonds. “It’s a free service we’ve only just started so we’re busy adding restaurants to the service. 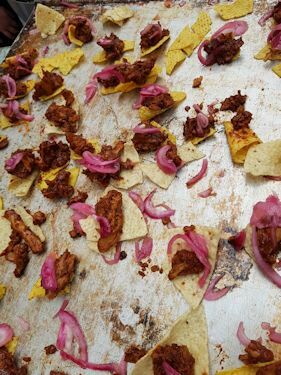 I want to encourage users to rate the restaurant they visit and to write reviews. 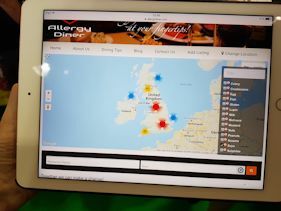 Together we can capture the best allergy friendly restaurants in the UK,” says CJ. 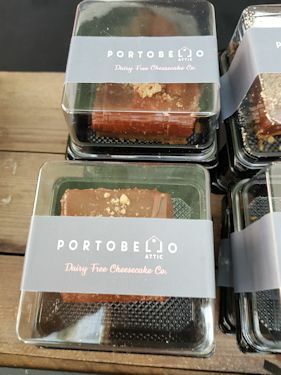 Another fabulous discovery was Portobello Attic www.portobelloattic.com a new dairy free cheesecake company started up Shauna McClure who is dairy free herself. She was disappointed by the availability of yummy dairy free desserts when dining out. The good news is that there gluten free options as well. 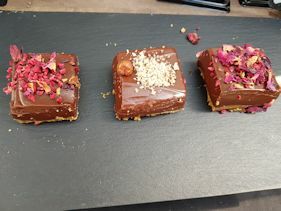 Made from soya, tofu and coconut flavourings with a soft biscuit base, they are absolutely delicious, moreish and creamy! Smart new packaging for the cheesecakes has just been introduced. 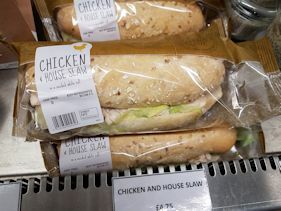 They can be found at delis in the Portobello Road area (hence the name) and at “The Grocer on Elgin” https://www.thegroceron.com/ Shauna does do deliveries to selected parts of London. I’m sure it won’t be long before the cheesecakes are stocked by other retailers. 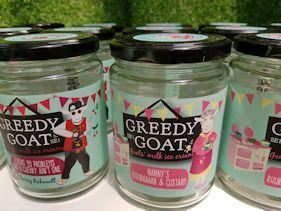 I chanced upon Greedy Goat www.greedygoat.co.uk goats’ milk ice cream in Borough Market www.boroughmarket.org.uk earlier this year when I was judging the Great Taste Awards www.greattasteawards.co.uk The ice cream is mouth-wateringly creamy and in several varieties including the Royal wedding special Harry’s Remarkleble Banana – a banana and pecan flavoured ice cream, Billy Vanilly and Nanny’s Rhubarb & Custard. 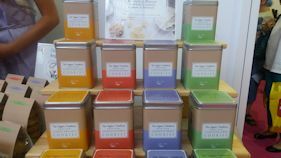 Available in 500ml glass jars – deliveries available in London. They are looking for retailers, so come on supermarkets! Another new company for us is The Vegan Treaterie www.vegantreaterie.com dairy free and gluten free biscuits, started up by Madi Walter. 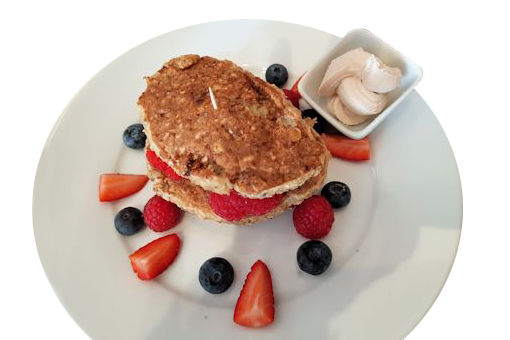 They are made from brown rice flour, tapioca and potato flour, almond butter, coconut butter and tahini paste. I tried the ginger and walnut cookies – they were yummy and crucially they are not oversweet. Available in a variety of flavours, you can buy online and they will be stocked at Fortnum & Mason www.fortnumandmason.com soon. 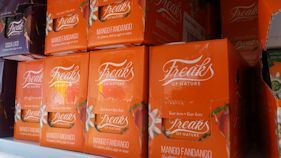 Freaks of Nature www.freaksofnature.co.uk produce mouth-watering yogurts, desserts and hot puddings which are dairy free, gluten free, egg free, soya free and low in sugar. 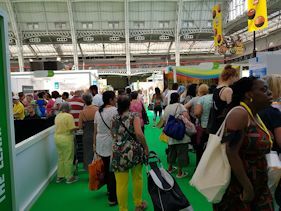 As you would imagine, the stand was rammed with people sampling. A top favourite was Mango Fandango vanilla posset with mango and passionfruit. I tried the hot sticky toffee pudding – moreish and not too sweet. Available in major supermarkets – visit web site for your nearest stockist.